If you enjoyed my Death Star image post, here’s a quick tutorial on how I did it. All you need is Photoshop and some layer blending prowess. Should Ewoks disable the shield generator, however, you’re on your own to defend it. The same technique works with overlaying images of the moon on cityscapes. Death Star over eastern Colorado, USASometimes, you just gotta add the Death Star to your image for a little creative fun! 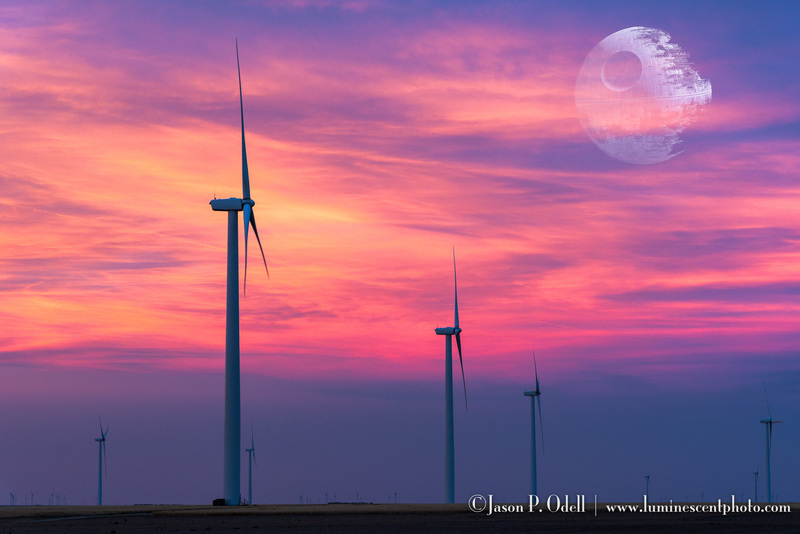 I captured the original image while leading a photo workshop in eastern Colorado, and added the Death Star in Photoshop.